Looking for the perfect place? 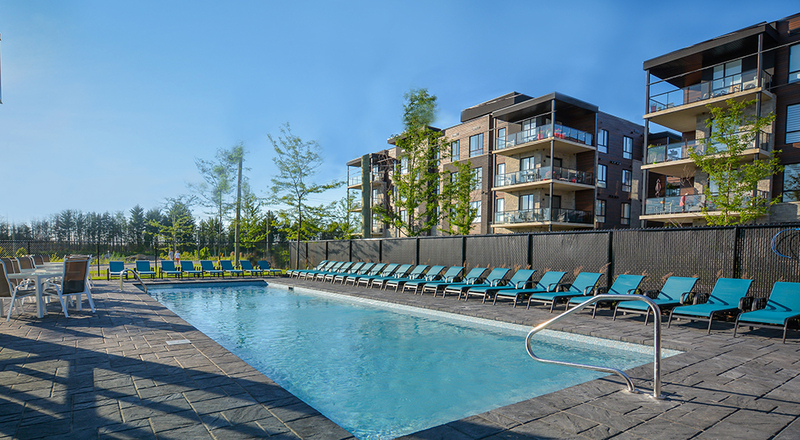 Condos Luxxcité offers units with 2 or 3 rooms. Penthouses are also available. Includes: central system, Gaz Métro, steel & concrete structure, elevator & secure entrance hall, unlimited access to the Glämm clubhouse with pool, gym, locker room & lounge. Indoor parking available. Are you ready for Villa life? Ciao large house! Goodbye pool cleaning, lawn mowing and, all that stuff. Are you ready to live every moment to its fullest? Discover this remarkable project: 238 villa houses, each one distinctive, choice of 2 or 3 rooms. 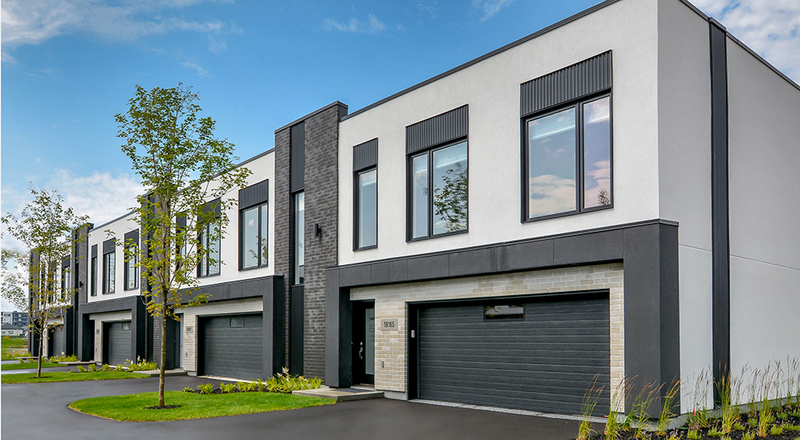 Every Villa House comes with a double indoor parking and many luxurious amenities: quartz countertops + hardwood floors + alarm system + central system + private, enclosed courtyard, and more. 24-hour access to Pür clubhouse (lounge and gym). Notary and designer included! It’s possible for you to purchase your new condo with a $0 down payment. We finance 100%. 1, 2, 3 or 4 rooms offered, in addition to deluxe penthouses. 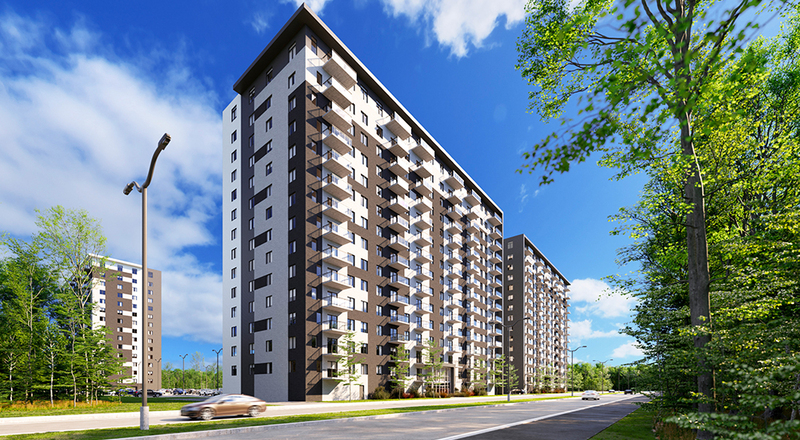 Presale has started for this project, 3 towers with 15 floors, 100% concrete to provide you with optimal build quality and unparalleled living environment. FOR RENT! Stunning new condos within the M3 Condos Locatifs project. More than 30 different models for rent offering luxurious quartz countertops, air conditioner, large balconies, secure entrance hall, elevator and concierge. Steel and concrete structure, hot water included, underground parking available. Multipurpose common room with reading area, work space for conferences and meetings, kitchen and pool table. You will be charmed! 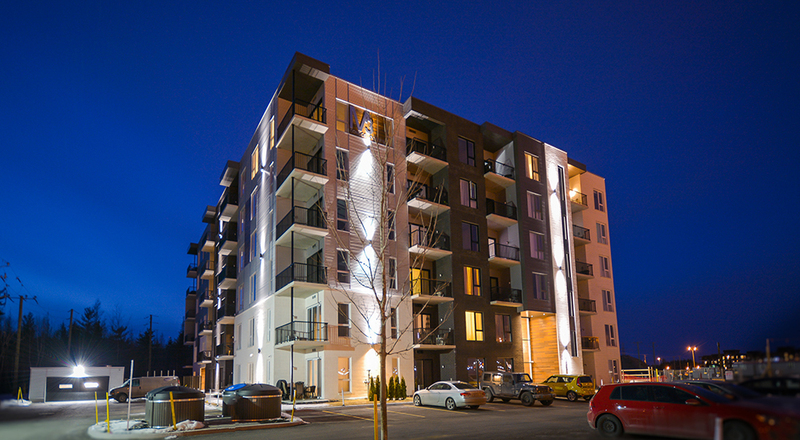 Mirabel Urbain is a residential project carried out by Groupe Mathieu. 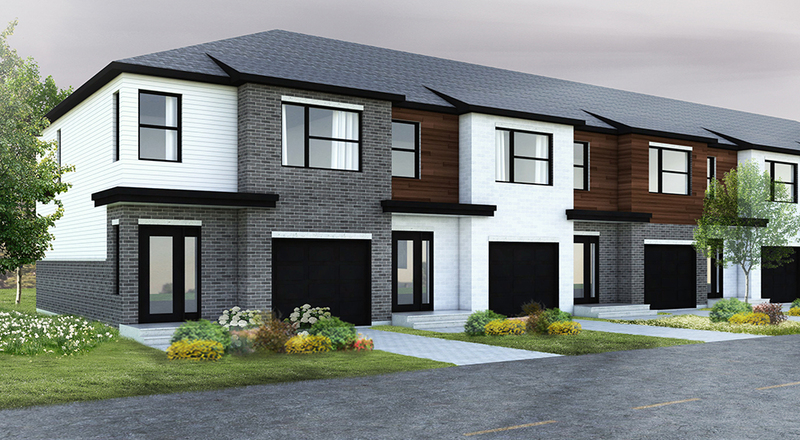 Townhouses with an urban style, each one offers several advantages: parking garage, ceilings of 9 feet on the first floor, hardwood floors and stairs, 2 or 3 bedrooms, lawn installation, paved driveway and installation of gutters.